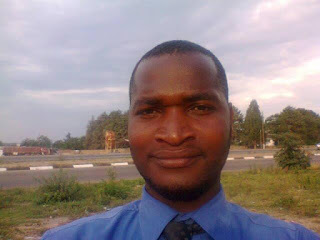 MPANDAWANA - A Gutu Mission Hospital medical doctor, Henry Harry Mushuku, who performed a Caesarean operation while drunk resulting in the death of Locardia Mbinda last year, has been ordered to go to rehab. After more than a year of investigations, Mushuku was found guilty of negligence and working in theatre under the influence of alcohol. The Ministry of Health and Child Care has ordered him to go to Parirenyatwa Hospital for rehabilitation. Masvingo Provincial Medical Director (PMD) Dr Amadeus Shamu confirmed that judgement had been handed down but refused to shed light on the nature of the punishment. "All I can say is proper punishment was given but I am not at liberty to tell you the nature of the punishment for publication," said Shamu. Close sources who spoke on condition of anonymity, however, said all the three people involved in the debacle were punished. "Gutu District Medical Officer Dr Tapiwa Mupepe, Dr Mushuku and Pamunoda Muguti, the nurse who was on duty, were all found guilty. Dr Mupepe was given a warning, Mushuku was sent to rehab and Muguti is working under supervision," said the source. When asked for comment, Mupepe said he was charged for not being at work when the operation was done. "My case was about absence from work for no reason. They said had I been there, the operation would not have been conducted. Everyone was found guilty as charged but I will appeal because I am not happy with the judgement," said Mupepe.